As a fan of armored vehicles, especially tanks, Fury is must watch movie. In fact I have not watched this movie yet lol. Since I had the second children, now aged 2 years I have never been able to watch in the cinema again. Friends of the RC tank community had watched it together, but I can not participate. I read the internet that the main plot of this film is the legendary battle between the two tanks, Sherman tank of the United States and the legendary Tiger tank of Germany in World War II. 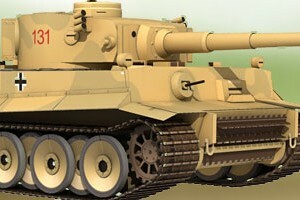 I also know that this film is the only Hollywood film that uses the original Tiger tank, not a replica nor prop. OK, back to the Sherman paper model. In Fury movie, the Sherman that use is M4A3E8 type, or usually called as Easy Eight. This Sherman is different from the other Sherman, bigger tracks, bigger gun. Actually this model tank can be finished last week. But after the model is finished, it felt a bit bland, because something is missing. This tank needs the crew, in order to truly represent the Fury movie. 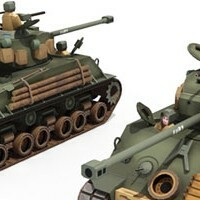 You can build this Sherman with or without the crew. The scale is 1:30. 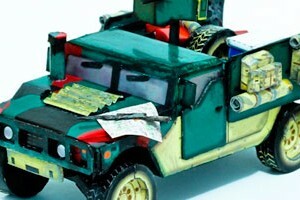 This paper model patterns was designed by Yudho Wiratomo (mypapermodel.blogspot.com). After a while he finaly return again with this nice template, a small yet detailed Humvee M988 I.E.D wheeled light armored vehicle paper model, with 1:50 scale. The patterns itself contains 3 pages in A4 paper size in PDF format, you can see the build photos below and its assembled size compare with our hand. You will need assembly instructions to complete this kit that you can look for it at Yudho's blog. I am still working on a commissioned project, while browsing on my reference database I found a lost nearly forgotten file, it is an assembly instruction for my Leopard 2 A4 main battle tank paper model. 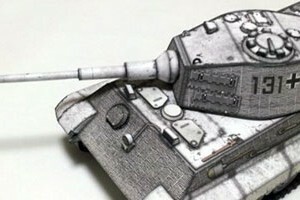 I nearly forget that I’ve never publish it on Paper Replika, until someone asked me about that tank few weeks ago. Now I have found the instructions so why not I prepare this model for a while and publish it. 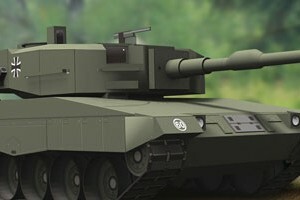 This model tank was designed six years ago in 2006, in the same timeline I designed the M1A2 Abrams model tank. This model also was a commercial product sold in my old paper model online store. The instruction is still in my old style, I hope it still can be helpful.